Cruise Indiana roads in style with a pre-owned sedan that brings value and joy to your life. 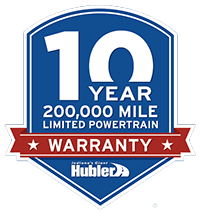 Here at the Hubler Automotive Group, we offer an impressive used sedan inventory that contains many makes and models to ensure every customer finds the perfect like-new car for their lifestyle and budget. Visit our used car dealership near Plainfield, IN, to get the keys to your future set of wheels. Whether you prefer American-made cars or sedans designed by auto manufacturers around the world, there's something for you on our lot. You can drive home in a pre-owned Chevy Malibu or a used Chevrolet Cruze today when you shop here. Or, opt for a Ford sedan like the Fusion or Focus to upgrade your time on the road. Those who favor Japanese brands will love our selection of used Honda Civic and Toyota Camry models. Alternatively, you can travel Indianapolis highways and byways in style with a pre-owned Honda Accord or Toyota Corolla models. These sedans offer extensive safety systems to ensure every journey is complete with peace of mind. Plus, we have plenty of used Nissan Altima sedans, as well as Buick LaCrosse and Regal models that you can take home today. Enjoy luxury for less when you're a Hubler customer. Explore our used sedan inventory and schedule a test-drive at the Hubler Automotive Group to get behind the wheel of a high-quality new-to-you car! Our sales team will match you with the ideal car, and then our finance team will ensure you leave with a payment plan that makes you feel comfortable.